Home Sports NFL Is Zeke the Freak turning into a Freak Show in Dallas? Ezekiel Elliott aka “Zeke” is turning into Johnny Manziel aka Johnny Football. You could see the small red flags come out before the NFL Draft when former teammate Joey Bosa reportedly told NFL teams that he had too move out of their shared apartment to get away from the partying lifestyle. According to ESPN, the Cowboys knew Zeke liked to hit up nightclubs hard when they drafted him. Sound a little bit like Johnny? Well wait there is more. Then In July 2016, Elliott was accused of domestic violence. He was later cleared of that incident because there was not enough evidence to convict him. Johnny had a similar incident that was also dismissed. Then during the preseason Zeke was caught visiting a marijuana dispensary in Seattle just hours prior to a game against the Seahawks. A few weeks after this incident his own father Stacy Elliott, the same man who quit his job in Missouri to move with his son while he attended OSU so he could keep an eye on him, came out with a statement that pretty much said he is very worried about his son’s ability to handle the spotlight as the Cowboy’s newest superstar. Manziel’s parents issued a similar statement regarding their son in 2013, expressing fear that their son’s star persona will halt him from growing up. 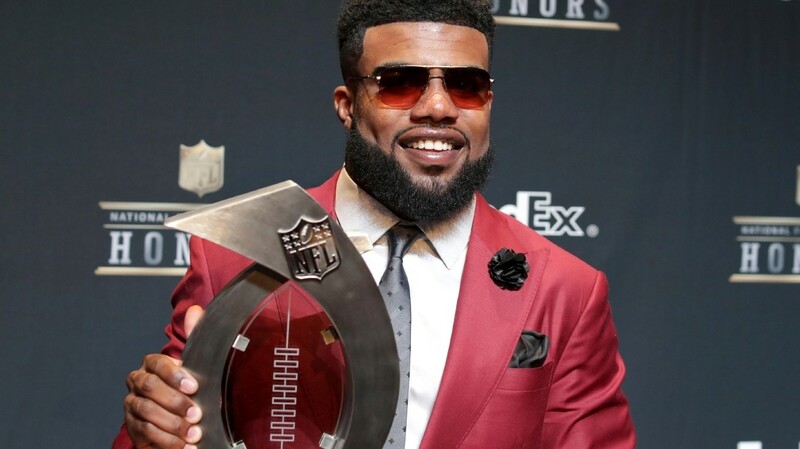 Furthermore, eight months after being accused of domestic violence, while at a St. Patrick’s Day parade, a video shows Zeke pulling at the top of a woman’s shirt and exposing her breast. A week or so after this incident Zeke was partying on a yacht that he rented. The Coast Guard searched the yacht to make sure there were enough life jackets onboard. No citations were given, but that is beside the point. You would think a guy who was just blasted by all members of the media a week or so ago would remain low-key for a little while. Johnny Football anybody? Like Johnny, Zeke just does not get it. He thinks the world revolves around him and he can do whatever he wants, when he wants without consequences. He feels like he’s untouchable because he is a star athlete, just like Manziel did. Well if Zeke does not grow up fast and realize the choices he is making are going to lead him down a path he does not want to be, I am afraid he is going to turn out just like my man Johnny Football. Only time will tell. Stayed tuned. Next articleLink is Below – The Adventures of Monk & Fox limited edition hipeGALAXY t-shirts are now on sale!! !